Prefabricated press boxes are a must-have for any sports arena. They offer reporters and announcers an enclosed and comfortable space to view and report on the game as it is going on. For sports facility application where you need the security and weather-resistance of an enclosed space, a press box is the ideal solutions. Press boxes are a welcome addition to any sports arena or athletic facility and prefabricated models are quick and easy to install on your property. 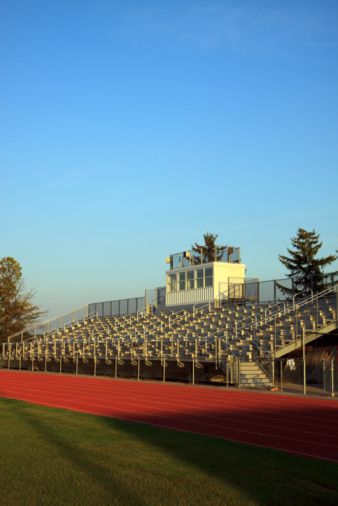 Learn more about the benefits of prefabricated press boxes and their many uses in today’s blog, below. Prefabricated press boxes are a must-have for any sports arena. For your press box needs, Shelters Direct can build the perfect solution for you. Because our press boxes are prefabricated, on-site assembly is a quick and painless process. For a press box that is rugged, durable, and built to last, trust the experts at Shelters Direct! Shelters Direct has been a trusted source for the supplying and installation of press boxes, canopies, shelters, and prefabricated guard booths for over 20 years. We work with a wide variety of clients throughout the United States and abroad to provide quality products and expert installation so you can be confident that we will get the job done right. Interested in learning more about how a smoking shelter could benefit your business? Contact us today! And don’t forget to keep up with us on Facebook, Twitter, Google+, and LinkedIn too. This entry was posted on Friday, April 29th, 2016	at 1:30 pm	. You can follow any responses to this entry through the RSS 2.0	feed. Both comments and pings are currently closed.